This is the title of an opera by Verdi we visited: "Un ballo in maschera". Great music, dramatic story and modern costumes. Peter and I loved it very much. Look at the opera building! 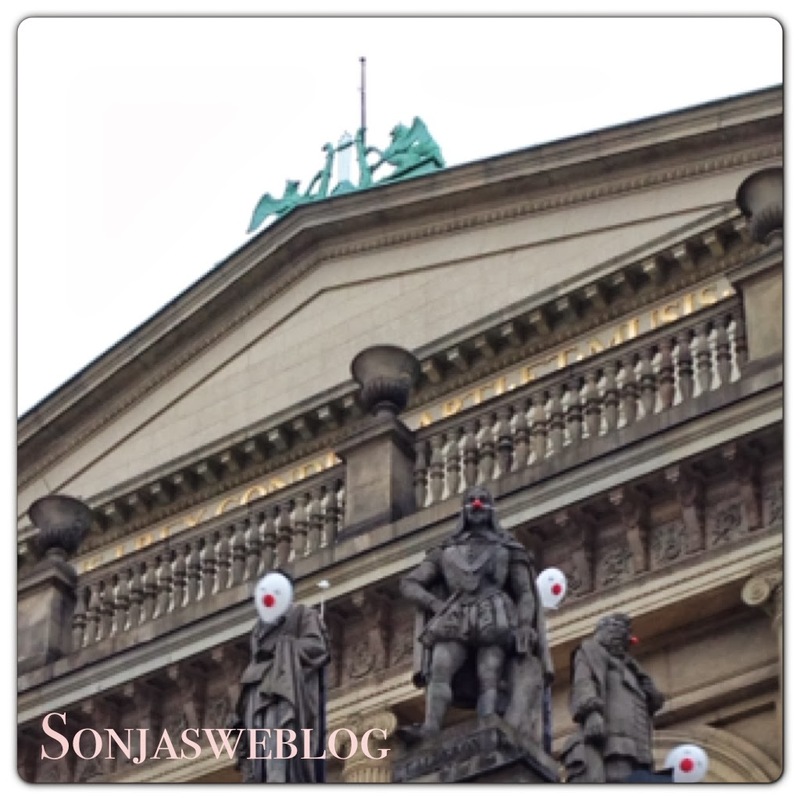 Even the statues were disguised with red noses and balloons.